We sat down with Milan who has been with TON since 1997, playing an integral role in the brands continued success. Paying homage to its heritage, the TON we know today still heavily focuses on it’s iconic pieces coming from designers such as Michael Thonet, Gebruder Thonet, Antonin Suman and Joseph Hoffman. With Milan’s influence the company has also entered a new realm of contemporary designs with the help of Alexander Gufler, Arik Levy and Lucie Koldova. The TON brand has a breathtaking portfolio range that has rightfully won them 7 Red Dot Design Awards, 4 Good Design Awards and a Wallpaper Design Award. JRF: Tell us a little about the TON heritage and how the company has evolved since its establishment in 1861? Milan: The tradition of bentwood furniture in Bystřice pod Hostýnem dates back to 1861 where the production was started by Michael Thonet, a world famous designer in the furniture business. The well-known company Gebrüder Thonet ran business here until 1924, until it merged with one of its biggest competitors to create THONET – MUNDUS. The TON brand was created in 1953, by renaming the THONET plant in Bystřice pod Hostýnem which was extracted out of Thonet concern in 1945. Our place is proud of producing all iconic models like Chairs No. 14, 18, Armchair No. 30, as well as Hoffman Chair (811). As well as more contemporary models such as the Merano, 002, Split Chair and the Chips Lounge Chair. The TON we know today now employs the 6th generation of workers. James Richardson Furniture is your longest standing partner worldwide. Are you able to share any highlights from our partnership over the decades? Yes, it is true is that Mr. David Mandie, James Richardson Furniture’s founder and TON’s then owner entered into their partnership on a handshake in 1956. This remains the longest standing relationship in both the TON and James Richardson Furniture histories. This proves both companies naturally prefer long-term relationships. Mostly we appreciate that the goals of both companies are to deliver authentic design products with perfect customer service. Your factory located in Bystřice pod Hostýnem, The Czech Republic is amongst the oldest factories in the world, how does TON celebrate innovation while maintaining the legacy of a place that has been home to generations of woodworkers? As Arik Levy, the author of Split said, our equipment is both archaic and futuristic. The key is a mix of skilled workers and best machines available. We are constantly searching to innovate the way we work with bentwood furniture. Most recently, we were able to break the record for the least amount of parts in a chair from the iconic 6 pieces in the Chair 14 to now only 3 pieces in the Chair 002. 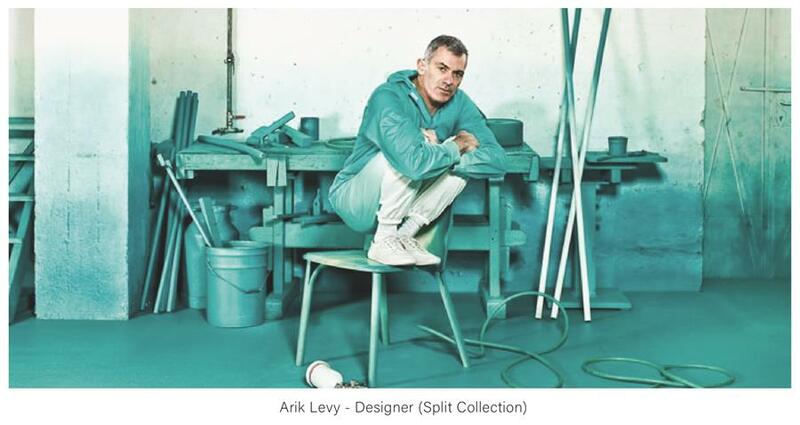 We also did the unimaginable by collaborating with Arik Levy to create the Split collection, by splitting the wood and bending it into two opposite directions… a world first. The Chair 18 designed by Michael Thonet is one of the most iconic in the world, what is involved in the manufacturing process and how long does this particular chair take to make? To start right at the beginning you must plant the Beechwood tree, then wait 80 years to cut it and three months to have it air dried. We then bend the well-steamed pieces into moulds and allow them to dry for three weeks in an acclimatised drying house. Once dry the product will go through a two weeks series of sanding, assembly, finishing, quality checks and packaging. What do you think makes TON so unique from other furniture manufacturers? Before we start to create a product, we dream about its beauty. Wood bending is a key to its strength. A beautiful and strong product becomes timeless and is inherited from generation to generation, just as our handcraft. That is why we do it honestly and for the benefit of people and nature. Do you see any trends that are unique to the Australian market compared to the rest of the world? Personally I do not see a big difference. It seems to me that the design community is very well connected and informed worldwide. I did notice that the famous “socks on the chair legs” came here much sooner than the rest of the world! Stay up to date with all the latest news, events and receive exclusive invites and special announcements from James Richardson Furniture. or get in touch here.